Have you ever Googled churches in your town? Give it a try and see if you can find your church’s name on the first page. 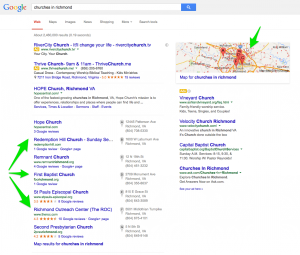 The best result is to see your church listed in one of these search results locations. 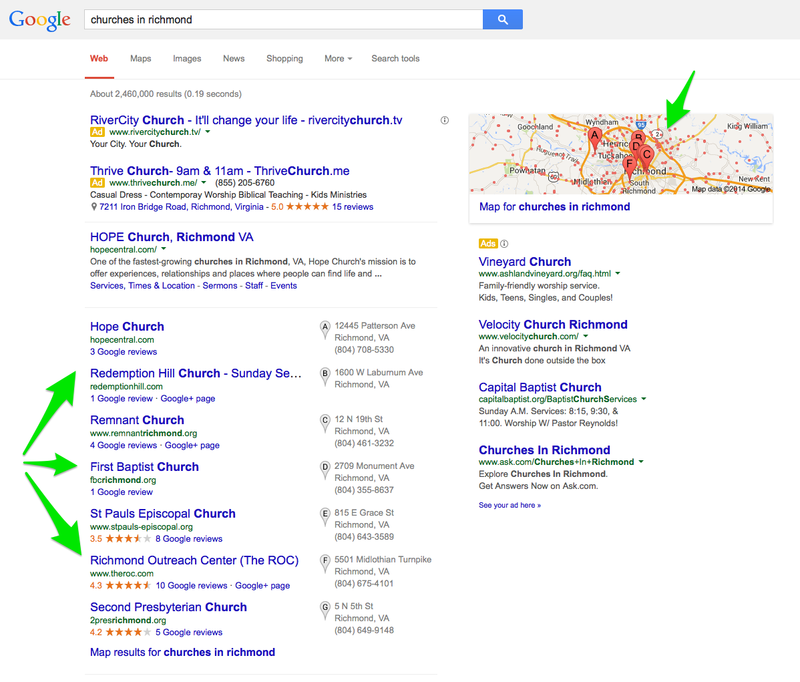 If you’re not in local search on Google, you’re missing out on potential church visitors finding out about you. How do you get your church listed there, you ask? Start by creating a listing in Google Places. Read this explanation from Search Engine Watch to learn more about Google Places and how to create your own listing. In the excerpt above, business refers to your church. For your church’s Google Places listing, I recommend including a description of your church, your church logo or an image of your worship location, church office hours or worship times, and your contact information. Once you’ve completed your Google Places profile, your church will be listed on the Google Map for certain searches and may also be listed in the local search results. Get listed here and start getting found on Google!